Or view larger version. Steel helmet called a morion. late 1600s. Unknown artist. Collection of Oakland Museum of California. Gift of Herbert Hamlin. This steel helmet is called a morion, a Spanish word meaning helmet or headpiece. The rivets along the rim secured triangular cheeckpieces and an internal leather band to which a lining was stitched. This helmet has a comb at the crest and a plume holder riveted to the left front. It is decoratively engraved and embossed. 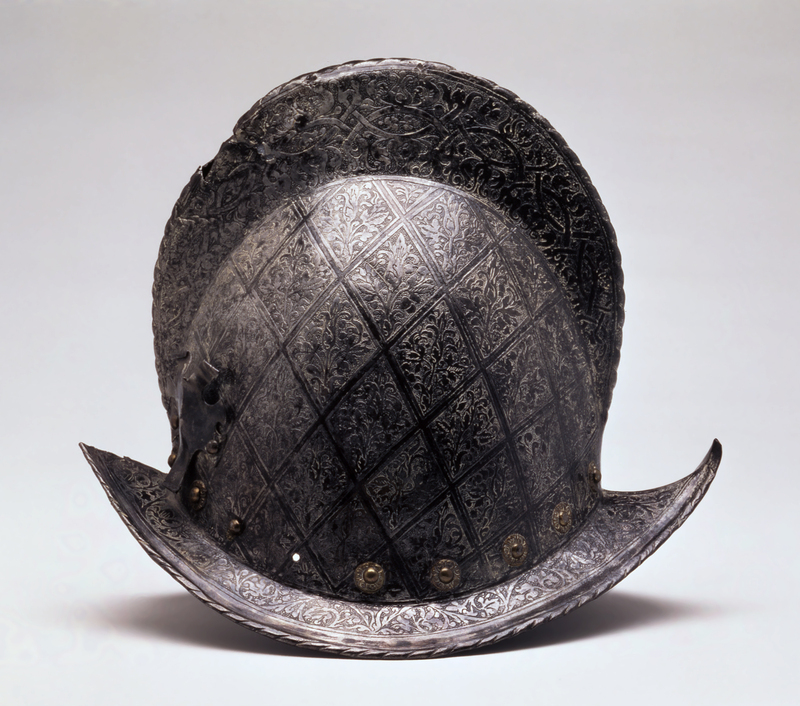 The morion was a popular style of helmet used by various European powers throughout the 16th and 17th centuries.